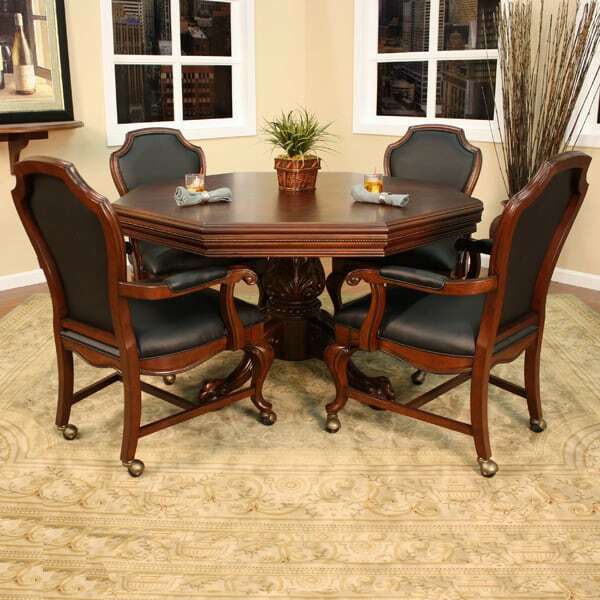 The Milano is an ultra upscale 2 in 1 octagon shaped dining table that converts into a poker table. The finish on this set goes through a five step process giving it a high gloss sheen and maximum protection. 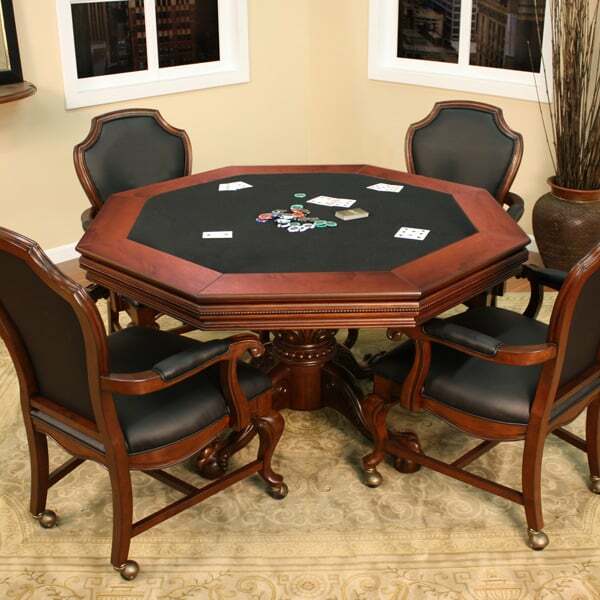 2 in 1 game tables are versatile in the fact that they can be used as a formal dining area or flip the top and use it as a casual poker table. American Heritage takes great pride in their manufacturing and craftsmanship and have become the Nation's leader in game room furniture and accessories. 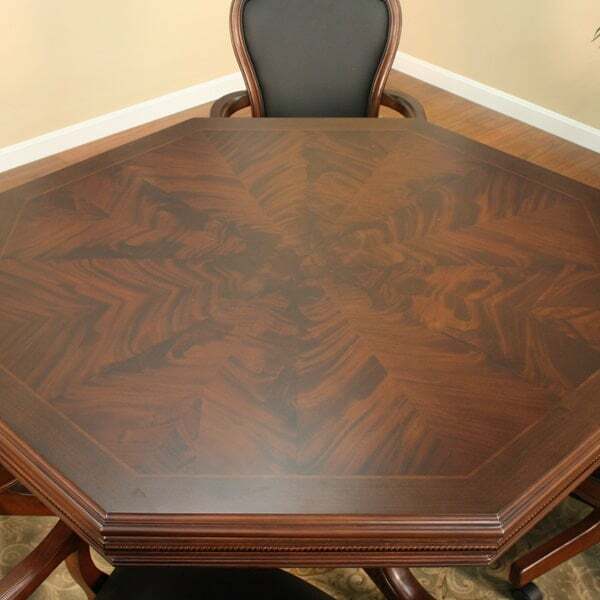 The Milano poker table includes the table and 4 game chairs with casters.